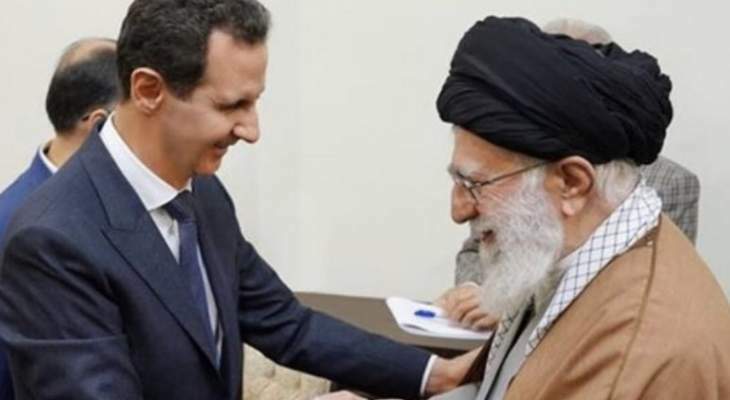 TEHRAN (FNA)- A prominent Arab analyst described the Monday visit by Syrian President Bashar al-Assad to Tehran as a new stage in relations between Iran and Syria, saying that it showed failure of the US-Israeli-Arab coalition. “The trip by Bashar Assad to Tehran hit a painful blow and heavy defeat at the alliance among the US, the Zionists and the reactionary Arab countries because their most important goal that has been launching a terrorist and global war against Syria was breaking the alliance between Syria and Iraq,” Hassan Hardan was quoted as saying by the Arabic-language al-Nashrah news website on Wednesday. He referred to the US proposal, mediated by Saudi Arabia, to Assad to desist from his relations with Iran, and said the Syrian president’s visit was the peak of victories of the resistance front against the terrorists and their supporters. “The trip emphasizes that the resistance front’s strategy to confront the plots hatched by the US, the Zionists and the reactionary Arab regime has been successful,” Hardan said. President Assad arrived in Tehran on Monday and rushed to meet Supreme Leader of the Islamic Revolution Ayatollah Seyed Ali Khamenei. During the meeting, Ayatollah Khamenei praised the Syrian nation’s resistance in face of enemies’ plots, and said the key to Syria’s victory as well as the United States and its regional mercenaries’ defeat is Syrian president and people’s resolve and resistance. A senior Iranian legislator said that Assad visited Tehran on Monday to ask the country for continued support for Syria and the resistance front. “Bashar Assad’s visit to Iran was mainly aimed at appreciating the Islamic Republic of Iran and our nation for its efforts and supports and he demanded Iran to remain beside Syria and strengthen the resistance front as this companionship leaves important effects on the regional and international scene,” member of the parliament’s National Security and Foreign Policy Commission Seyed Reza Naqavi Hosseini said on Tuesday. He noted that Iran’s assistance led to the victories in Syria and foiled the US plots. “Syria had for years been entangled in terrorism and aggressions of countries like the US, Britain, France and the Zionist regime and they clearly interfered in Syria’s affairs and endangered Syria’s territorial integrity and the legal government’s independence,” Naqavi Hosseini said. شكلت زيارة الرئيس السوري بشار الأسد إلى طهران في توقيتها ودلالاتها محطة هامة على صعيد العلاقات التحالفية بين سورية وإيران، وعلى صعيد التطورات الحاصلة في المنطقة والعالم..
ثالثاً: عكست الزيارة عمق العلاقات بين الدولتين، ومستوى التقدير العالي لمواقف الرئيس الأسد وصلابته في مواجهة أشرس حرب إرهابية كونية تتعرّض لها دولة في العالم، حيث عبّر مرشد الثورة الإمام الخامنئي عن هذا التقدير للرئيس الأسد بالقول: لقد أثبتم بصمودكم أنكم قد تحوّلتم إلى بطل على صعيد العالم العربي، وقد اكتسبت المقاومة بواسطتكم المزيد من القوة وعززتم سمعتها .. طبعاً هذه شهادة كبيرة من قائد الجمهورية الإسلامية الإيرانية ومرشدها الذي كان، إلى جانب الإمام روح الله الموسوي الخميني، من قادة الثورة الإيرانية التحررية التي أسقطت نظام الشاه العميل لأميركا وكيان العدو الصهيوني..
الجعفري يكشف عن دول في مجلس الأمن تمارس إرهاباً اقتصادياً ضد سورية.. ونيبينزيا يدعو إلى إجلاء النازحين الراغبي..